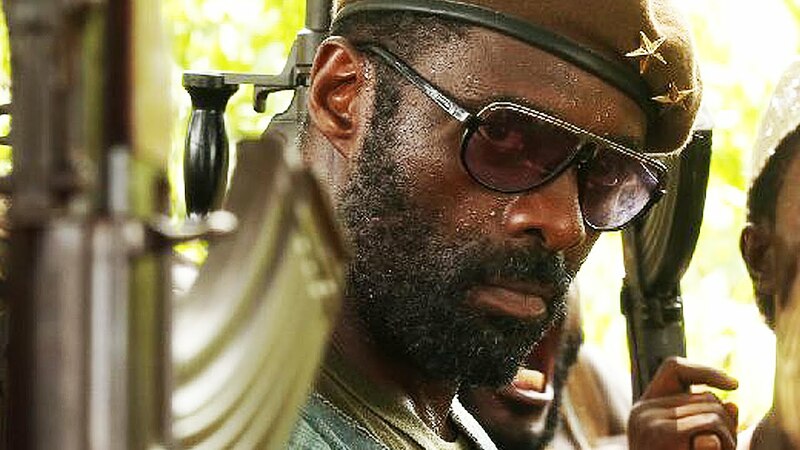 "I just want to be happy in this life"
The madness of Apocalypse Now and the poetic reflection of Terrence Malick's The Thin Red Line come to mind when watching Beasts of No Nation. This harrowing descent into the tragedies of civil war is the third film by Cary Fukunaga (Sin Nombre, Jane Eyre and the first season of HBO's True Detective). Based on a novel by Uzodinma Iweala, the film also stands out as Netflix's first foray into feature filmmaking. After a brief festival run, subscribers across the world will be able to stream 'Beasts' from October 16th. The online release will be accompanied by a limited run in theatres (in the US at least). I for one am glad to have had the opportunity to discover the film on the big screen at the London Film Festival. The scope and production value clearly belong in the cinema. The story begins with a happy child. Times are not easy, but Agu (Abraham Attah, whose fantastic first-time performance was rewarded with the Marcello Mastroianni Award at the Venice International Film Festival) hustles his way through a peaceful Nigerian village. Fukunaga establishes Agu's joyous family life very quickly, as it is not going to last long. War breaks out and Agu soon finds himself alone in the jungle. 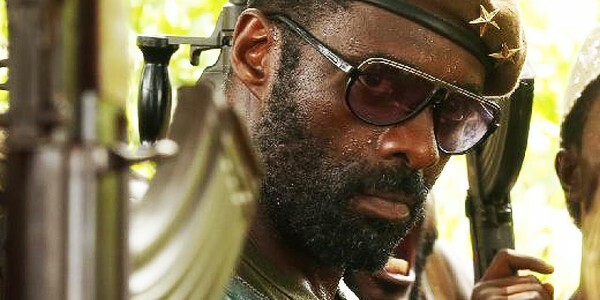 His father and brother have been executed, so Agu is on the run when he joins the "Commandant," played by Idris Elba. The leader of a motley crew of boys and young men in battle against the government decides to train Agu as a warrior. The child has little say in the matter. He is taught to suffer, fight and kill. The tone of Beasts of No Nation is pitch-black. The film has mass-audience appeal, but this is not a Hollywood-ized look at civil war. There is no time for excessive emotion in this ruthless environment. The story may be told from a child's perspective, but Agu's naivety is quickly replace by cynicism, aggression and drugs. The battle scenes are harsh and numb. Fighting occurs in a trance-like state conjured by music and cinematography. The lack of melodrama is both a strength and a weakness. Clichés and cheesiness are bypassed, but the narrative falls short of being gripping on a basic level. The lengthy running time (133 minutes) and some minor pacing issues further complicate emotional engagement from the audience. This allows us to think about the characters. Fukunaga has no interest in politics. The ideological motivation, if indeed there is any, behind the rebellion is never explained. The causes are irrelevant. There is no "good" or "bad" side to the conflict any more; there is only violence breeding more violence. Agu if forced to come of age early and understands the nihilism of the situation through Elba's character. Like a modern-day Fagin, he seduces children to a life of crime and violence. Idris Elba's performance is incredible, as he keeps revealing flashes of darkness inside this complex character's soul. He is a product of his environment - a man with ambitions and hopes that ultimately lead to despotism. 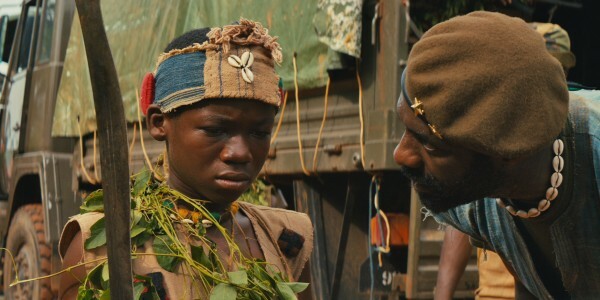 Beasts of No Nation does not provide a good time at the movies, but it paints a multi-layered portrait of an important issue. Emotions are secondary, but the story manages to move and provoke thought nonetheless.